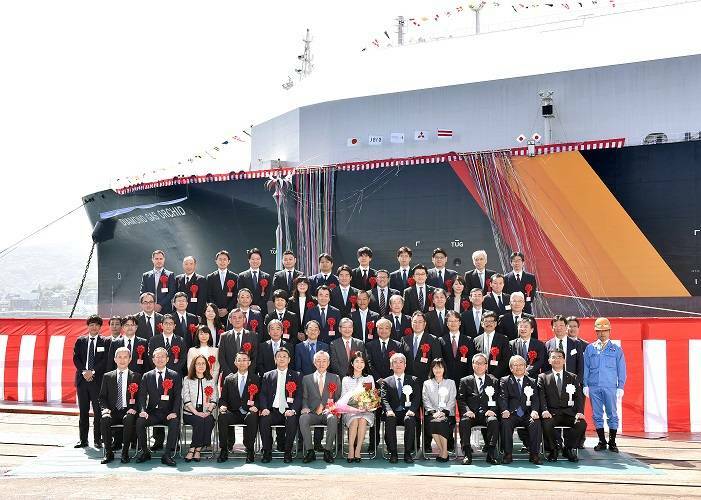 A naming ceremony was held for a new liquefied natural gas (LNG) carrier, Diamond Gas Orchid, at Mitsubishi Heavy Industries Ltd.’s Nagasaki Shipyard. The newbuild, owned by Diamond LNG Shipping 1 Pte. Ltd., a 50/50 joint venture company between NYK and Mitsubishi Corporation (MC), will sail under a long-term time-charter contract with MC’s wholly owned subsidiary in Singapore, Diamond Gas International Pte. Ltd.
After delivery on June 29, 2018, the ship will transport LNG from Louisiana in the U.S. for the Cameron LNG project, in which NYK and MC both have a stake, as well as from other locations globally. The NYK Group will be responsible for ship management. 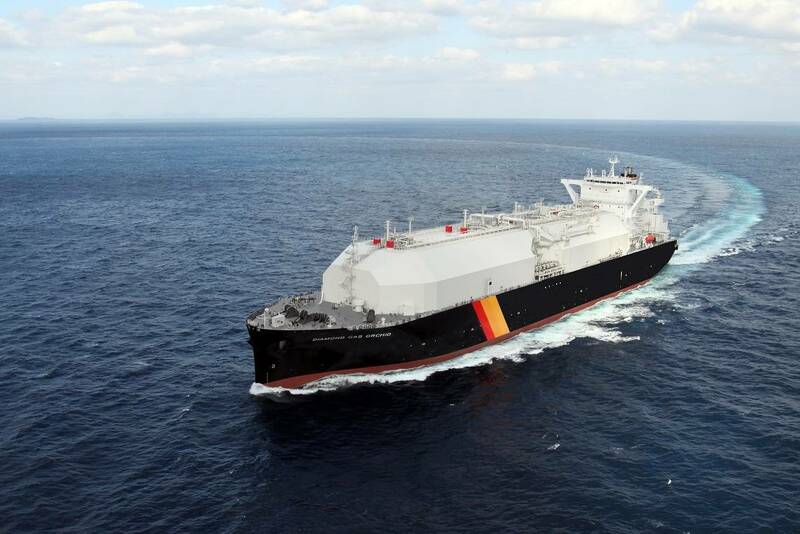 The new LNG vessel is a Sayaringo STaGE next-generation LNG carrier, which has a continuous steel cover that reduces ship weight and air resistance while increasing LNG-carrying capacity. The name Sayaringo is derived from the fact that the upper semi-sphere of the tank is larger than the lower semi-sphere, resembling the shape of an apple (ringo in Japanese) covered by a pod of a pea (saya in Japanese). In addition, the ship is equipped with a hybrid propulsion system named STaGE (Steam Turbine and Gas Engines), a highly efficient reheating steam-type marine turbine, and a dual-fuel diesel engine capable of operating on both gas and oil, which creates a highly fuel-efficient propulsion system. Diamond Gas Orchid is the first Sayaringo STaGE vessel to have both the next-generation LNG cargo tank structure and propulsion system. Shipbuilder: Mitsubishi Shipbuilding Co. Ltd.